I haven’t written in awhile, and I’m sorry, but I was swept up with life. It took me away on a wild journey and then it dropped me like a rock. The wind stopped and I am left in a stale, dark airless life. The story is a long one, but now… it seems I have the time. Once upon a time (cheesy, I know, but get over it. It felt like a fairy tale), I was falling in love, but now, I’m simply falling apart. 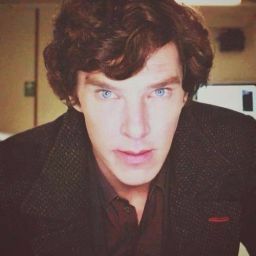 I met him; I met Sherlock and I was seduced by his mind. His deductions and accusations bewildered me and what he proposed to me, excited me. He asked me to join him on his quest to solve the world’s puzzles and catch mass murders. Side by side, that is what we did. For so long, for years, and for what felt like life times, we helped the police and captured killers in bliss. But then one came along, one just as clever as Sherlock and as evil as Sherlock was good. Sherlock got in his way, apparently, doing what he does best, but somehow this man, this evil man jumped over Sherlock and ran ahead. I don’t know how it happened, but it did. He got ahead and he stole Sherlock from me. In more ways than one. It had started out small. 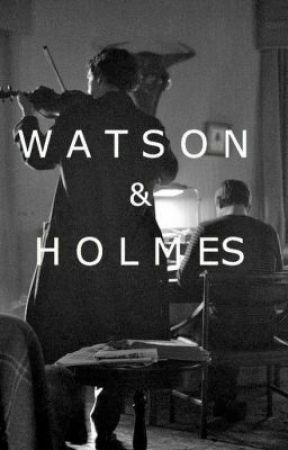 Sherlock wasn’t much of a sleeper in the first place, but his sleepless nights became obsessed with one subject instead of multiple. The lack of new facts began to frustrate him. He stopped eating, even stopped taking new cases. An anger grew in Sherlock, and slowly he stopped talking to me. He snapped a time or two at me, and I could see he was trying not to do it. I guess the only way he could stop himself was to stop talking entirely. Watching what all that did to him. Then one day, Sherlock was bursting with life. He was talking again, mentioned taking on new cases, and when I asked him why, he smiled that smile he always has when he’s figured everything out, just before he catches the killer. Sherlock confessed to me that he had him, he had Moriarty. I couldn’t believe it at first. I thought I had been dreaming. Overwhelmed, I pulled Sherlock into my arms and thanked the lord. My Sherlock had returned to me from a dark period and things would go back to normal. To celebrate, I had gone out to the market. We needed food since neither of us had done much eating during those weeks. On my way back, my phone rang. It was Sherlock. I was just outside the flat and I considered not answering because I figured he was inside. But it was Sherlock. He came and went as he pleased, so answered. It was the first and last phone call he ever made to me. He told me to look up. With more fear in my heart then I had ever felt, I did, only to see Sherlock standing on the building. I couldn’t believe what I was seeing. The tears in his eyes, the pain on his face. He was the complete opposite of what he had been that morning. That’s what he said that phone call was. Sherlock kept hinting at suicide, and I only say hinting. It was more than obvious that what he was saying. But, well denial quickly worked its way into my mind. I didn’t want to believe that the man I had come to know would even consider death by one’s own hand as a final solution. He was so… satisfied. With himself and his life. He loved his work, the thrill of the unknown, solving what no one else could. It made him so happy. I just couldn’t believe it. But regardless of denial and what I wanted to believe, he jumped. In all my years as a doctor and an army man, the sight of blood had never made me sick. Not until that very moment. It pooled around his head like a dark halo. The shock alone nearly killed me. Then, over time, drinking nearly killed me. Now, the loneliness is killing me. But in the end, it will be me that ends it all. This will be my last journal entry. I’m sorry. I thought I would be fine after awhile, like most people are. They mourn and move on over time. But time hasn’t healed a damn thing. It’s only dug my heart out and ate it like an apple. I miss him. So much. And now, at least, I can be with him again.